You can have our custom analytics summary report emailed to any email address of your choice. First go to Analytics, then Reports. Click on Add Report. In this screen you can name your report, choose the email address you'd like it sent to, set the time and frequency of the report, what time frame of data you'd like included, and how often you'd like it repeated. After you're done, click on the blue check to save and you're ready to go. You can create multiple reports with different parameters. 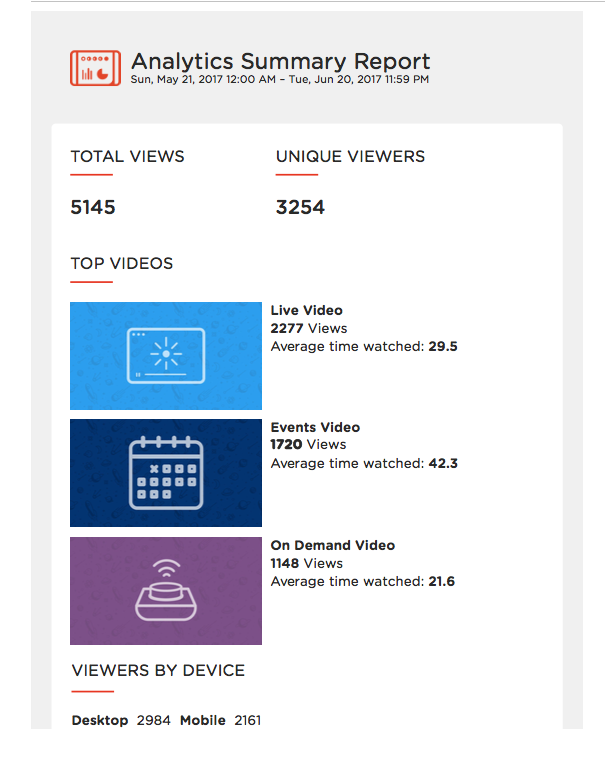 Your report will include your total views, unique viewers, top videos, viewers by device, top cities and top countries.